Encyclopedia of Medical Devices and Instrumentation John G. Webster, Editor-in-Chief This comprehensive encyclopedia, the work of more than 400 contributors, includes 266 articles on devices and instrumentation that are currently or likely to be useful in medicine and biomedical engineering. The four volumes include 3,022 pages of text that concentrates on how technology assists the branches of medicine. The articles emphasize the contributions of engineering, physics, and computers to each of the general areas of medicine, and are designed not for peers, but rather for workers from related fields who wish to take a first look at what is important in the subject. 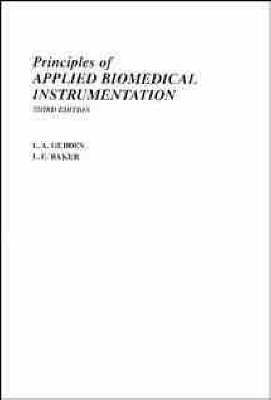 Highly recommended for university biomedical engineering and medical reference collections, and for anyone with a science background or an interest in technology. Includes a 78-page index, cross-references, and high-quality diagrams, illustrations, and photographs. 1988 (0 471-82936-6) 4-Volume Set Introduction to Radiological Physics and Radiation Dosimetry Frank Herbert Attix provides complete and useful coverage of radiological physics. Unlike most treatments of the subject, it encompasses radiation dosimetry in general, rather than discussing only its applications in medical or health physics. The treatment flows logically from basics to more advanced topics. Coverage extends through radiation interactions to cavity theories and dosimetry of X-rays, charged particles, and neutrons. Several important subjects that have never been thoroughly analyzed in the literature are treated here in detail, such as charged-particle equilibrium, broad-beam attenuation and geometries, derivation of the Kramers X-ray spectrum, and the reciprocity theorem, which is also extended to the nonisotropic homogeneous case. 1986 (0 471-01146-0) 607 pp. Medical Physics John R. Cameron and James G. Skofronick This detailed text describes medical physics in a simple, straightforward manner. It discusses the physical principles involved in the control and functon of organs and organ systems such as the eyes, ears, lungs, heart, and circulatory system. There is also coverage of the application of mechanics, heat, light, sound, electricity, and magnetism to medicine, particularly of the various instruments used for the diagnosis and treatment of disease. 1978 (0 471-13131-8) 615 pp.